The race to become the first-ever trillion-dollar company just intensified as Apple today posted its best-ever revenue in Q3 2018. The Cupertino giant has posted strong earning numbers and again managed to beat market estimates. Apple has reported a revenue of $53.3 billion in the third quarter, which is a 17% growth year-on-year and $1 billion over analyst predictions. The earnings per share (EPS) stood at $2.34, significantly higher than the market estimate of $2.18 earnings per share. The third quarter is usually expected to be the weakest for Apple, as we witness a slow down in the sales due to the expected launch of new iPhones and other hardware products launching in the next couple of months. Users become wary of picking up a current-gen iPhone when an upgrade is right around the corner but this was not the case this time around. The average selling price of an iPhone stood at $724, which is also better than the $693 analyst estimates. While iPhones may still be attracting attention, the Macs were down in the dumps. Mac sales only brought in $3.7 billion in revenue, which is well below analyst estimates and a 13 percent decline when compared to the same quarter from the previous year. This decline could be because of the endless issues with the new Butterfly mechanism of the MacBook Pro, which were fixed just recently. 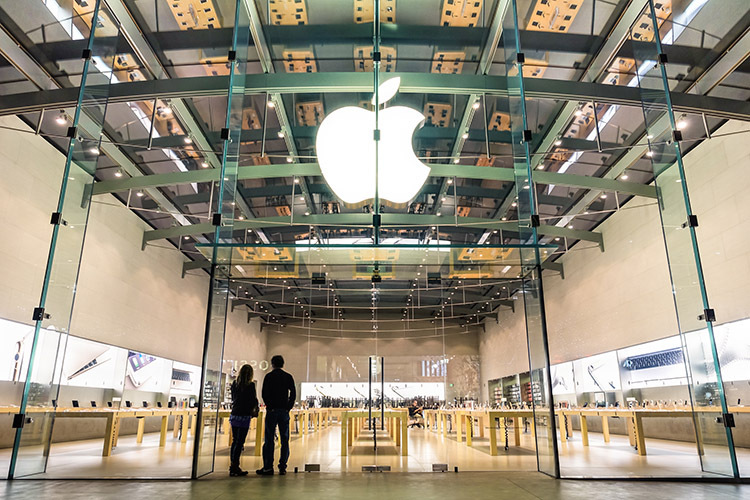 The services business, which includes Apple Music, iCloud, and Apple Care, saw a hefty 31% year-on-year uptick to deliver a $9.55 billion in revenue in the third quarter ended in July 2018. Apple Music U.S subscriber base recently swelled past Spotify and a larger number of users have picked up Apple Care to ensure the safety of their all-glass iPhones. Even the revenue from its ‘other products’ department, which includes the Apple Watch, HomePod, Airpods, and more, surged 37% to reach a hefty $3.74 billion as compared to the $2.74 billion figure from the same quarter last year. Cook states that the wearable segment has seen a significant 60% year-on-year growth during the analyst call after the earnings call. The amazing Q3 2018 earnings call has led to a significant jump in the company’s share price in after-hours trading. 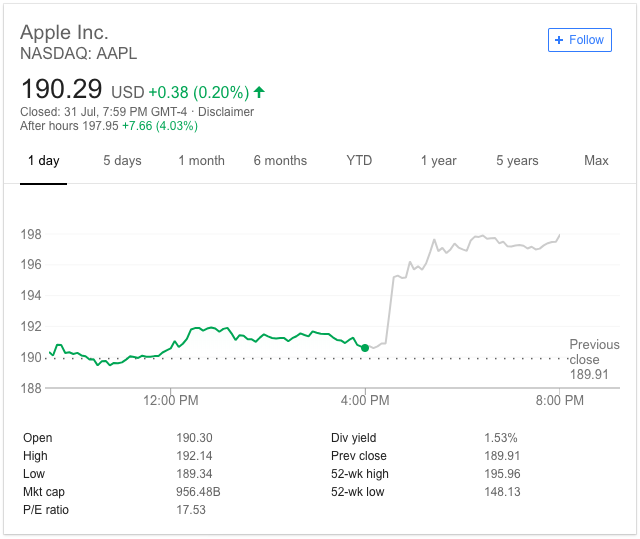 The price jumped close to 4 percentage points, pushing the share price closer to the $200 point while adding tens of billions of dollars to Apple’s valuation. Apple’s market capital currently stands at around $935 billion, but the Cupertino giant is expected to touch the magical trillion dollar mark when its share price reaches $204. 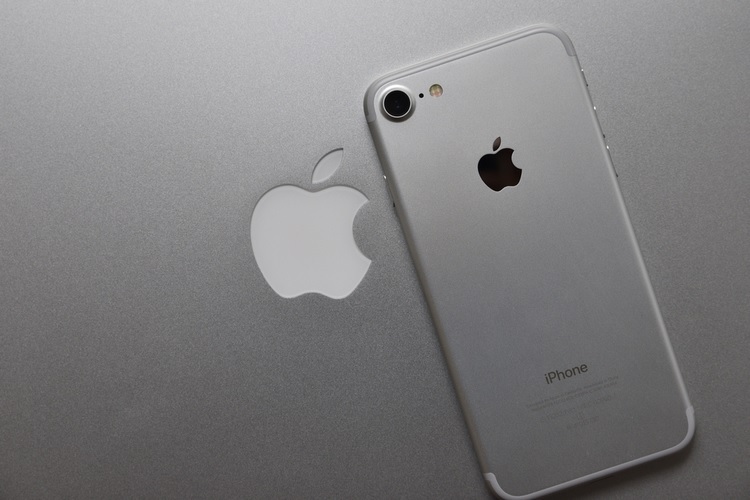 And that could soon become a reality as Apple is scheduled to release a trio of new iPhones, a MacBook Air refresh, and other new hardware products. This is also the reason that the Cupertino giant expects to post a revenue close to $60-62 billion in the fourth quarter, a 16 to 19 percent growth from this period last year. So, how soon do you think Apple can achieve a trillion dollar market cap? Well, I think it can surely happen this month itself but I would love to hear your thoughts in the comments as well.